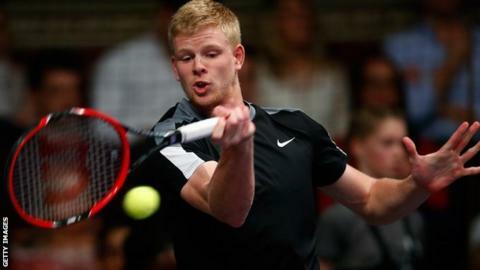 Britain's Kyle Edmund beat Slovakia's world number 43 Martin Klizan at the Qatar Open to record the third tour-level victory of his career. The 20-year-old world number 102 - who had to come through qualifying in Doha - won 6-2 6-3 and faces Spaniard Daniel Munoz de la Nava in the last 16. Edmund is preparing for the Australian Open, which starts on 18 January. Munoz de la Nava, 33, is at a career-high ranking of 75 and beat fifth seed Feliciano Lopez 3-6 7-6 (7-6) 7-5.